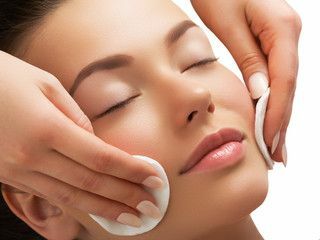 Try any of our peels for a variety of needs! 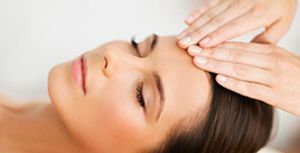 Aside from acne treatments, we also offer chemical peels for brighter and healthier looking skin! 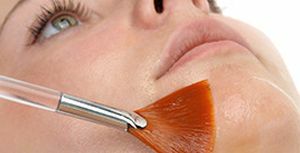 The pumpkin peel treatment has simultaneous actions; it exfoliates and draws impurities out of the skin while introducing vitamins, enzymes and nutrients into the skin. This is an excellent treatment for smokers as it stimulates circulation, promotes healing, and provides vitamin nutrition. This treatment is also great for smoothing the skin, as the naturally occurring salicylic acid in pumpkin removes the dead surface cells that cause rough texture. 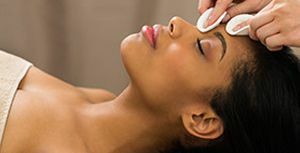 The skin will have a healthy glow following this treatment. Using alpha hydroxy acids derived from milk, this is a very mild peel with little to no recovery time. Because lactic acid is a natural human metabolite, there is less chance of an allergic reaction with this type of peel. 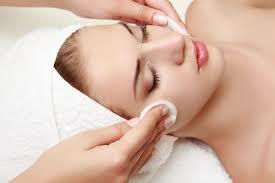 Lactic acid peels help remove germs, dead cells, and toxins from the skin. 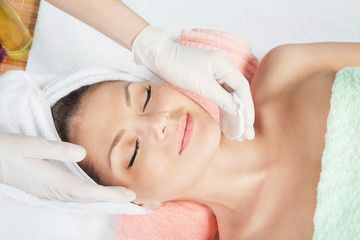 Lactic acid peels are best for people who have very sensitive skin that might not be able to tolerate the slightly more intense glycolic acid peels. Although lactic acid peels are gentler, they usually provide many of the same benefits as the other peels, simply in a less intense way. The Sensi peel was formulated primarily for all sensitive skin types. The solution contains a blend of L-lactic acid and trichloroacetic acid (TCA) in addition to plant-derived progesterone precursors which leave the skin feeling plump and hydrated. Kojic and azelaic acids also provide anti-acne and antibacterial properties. It targets patients that want gradual lightening, but instant tightening. Sensi Peel is excellent for helping to calm rosacea, as redness and inflammation subside substantially after treatment. Jessner’s peel is designed to improve more extensive skin damage than an alpha-hydroxy-acid peel can provide. It is made of salicylic acid for penetration, lactic acid for exfoliation, and resorcinol (which is great for the treatment of acne). This enhanced Jessner's formula will even skin tone, not for sensitivity to hydroquinone. This peel helps promote an even skin tone and a clear complexion. Hydroquinone free also available for senitive skin types, ethnic skin or those allergic. The most potent enhanced Jessner's Peel, evens skin tone to provide more exfoliation for oilier, thicker and more resilient skin types. Extremely effective on sun-damaged and thickened skin. Excellent for active or cystic acne and asphyxiated skin(dry on the surface, oily underneath), or for a needed deeper treatment. For normal to resilient skin types. Pure Retinol comes in 4% or 6%, provides dramatic and rapid rejuvenation of the skin. By providing additional antioxidants the skin is furthur protected from free radical damage. Skin is visibly smoother, brighter and more evenly toned. Alpha Hydroxy Acids and peptides work together to exfoliate, brighten, and plump the skin. A dynamic system of powerful peptides help prevent future wrinkles and stimulate collagen, elastin, and hyaluronic acid production, thus increasing firmness and reducing fine lines and wrinkles. It is suitable for any skin type with signs of aging, particularly for dry skin. Perfect Derm uses glutathione as a founding component and is the only true anti-aging ingredient offered exclusively in its formula. 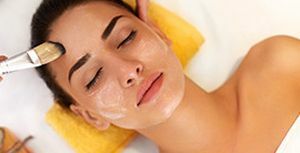 The Perfect Peel works from the inside to repair and nourish the skin by giving it a radiant glow, refining pores, improving skin hyperpigmentations, lifting melasma, controlling acne, and preventing acne marks. 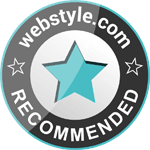 Most importantly, the Glutathione element defies the aging process. Glutathione penetrates deep into the cellular level of the skin to fight oxidant damage and is the anti-aging answer to premature wrinkling. Glutathione is proven to reverse the melanin’s metabolism, turning dark pigmentations (eumelanin) into light pigmentation (phaeomelanin). TCA peels brighten and even out your skin tone by reducing the appearance of hyperpigmentation (dark spots, acne marks, sun spots, freckles) and skin discoloration. They revitalize dull-looking skin, helping skin look soft and smooth. 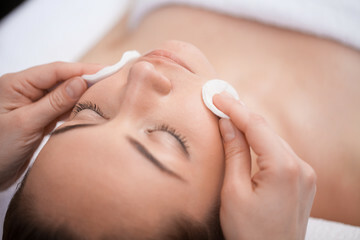 Because of their deep exfoliating effects, TCA peels can clean out congested pores to refine the surface of your skin. The Body peel provides nourishing ingredients that soften and hydrate the skin’s surface, while improving the appearance and texture of the skin with a combination of exfoliating, smoothing, and brightening ingredients. This treatment is an excellent choice for promoting an even skin tone and clear complexion on the arms, legs, back, chest, hands, and feet.